Two Adorable Designs and Four Letters to choose from! 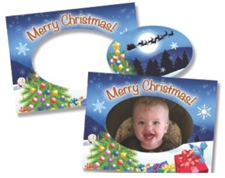 Each Design comes with a matching Magnet Frame gift! 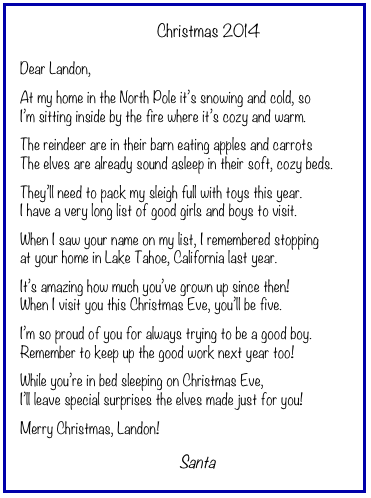 A Letter from Santa is personalized just for your child with their name, city, and other fun details! 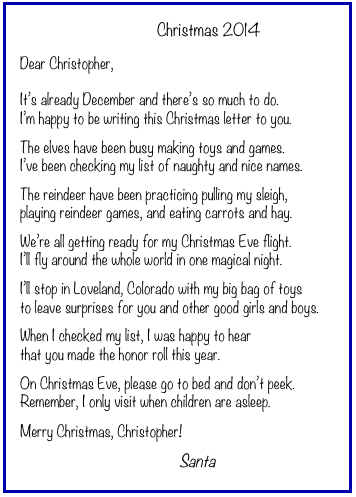 Letters are mailed in December to your child's mailbox in an official "Sleigh Mail" envelope. 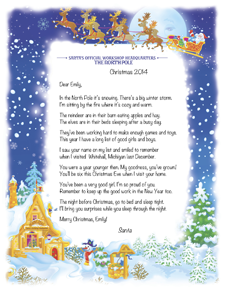 Each personalized letter from Santa is mailed individually and separately to each child. They will arrive in December, just in time for Christmas. They do not ship with other items in your order. 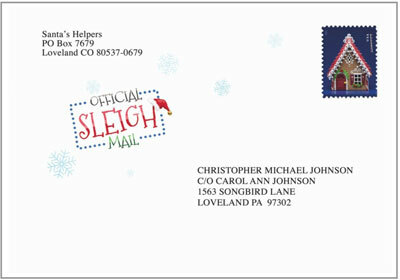 Letters ordered BEFORE Thanksgiving will be mailed the Monday after Thanksgiving. Letters ordered AFTER Thanksgiving will ship within 2 business days. Last day to order to guarantee delivery before Christmas is Dec 12. 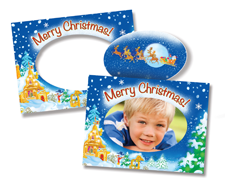 We will still mail all letters ordered within 48 hours but cannot guarantee delivery by Christmas if ordered after that date. Each letter is mailed separately and addressed to a single child, even if you order multiple letters. $3.99 FLAT FEE standard shipping applies to your order. There are no additional shipping charges for additional letters, even if sent to a different address. Order 3 or more items (of any kind) and use code FREESHIP for free standard shipping (doesn't include shipping upgrades, not valid with any other discount offer). 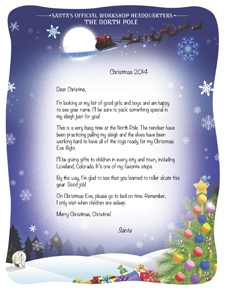 Santa letters can only be sent to addresses in the US.